This 6 days Uganda gorilla trekking safari Bwindi, Queen Elizabeth & Lake Mburo wildlife safari offers you a 6 days Bwindi gorilla safari in Uganda and wildlife tour to Queen Elizabeth and Lake Mburo National parks experience. 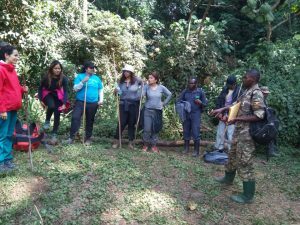 This is one of the popular Uganda gorilla safaris tailored to get you all the best experience for gorilla trekking and wildlife encounters. 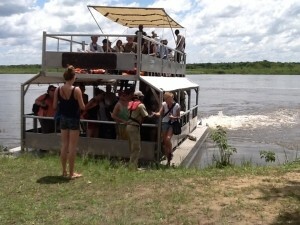 Your amazing 6 days Uganda gorilla tour features an equator experience, boat cruise and game drive in Lake Mburo national park, gorilla trekking in Bwindi impenetrable national park then a boat cruise and a game drive in Queen Elizabeth National Park. 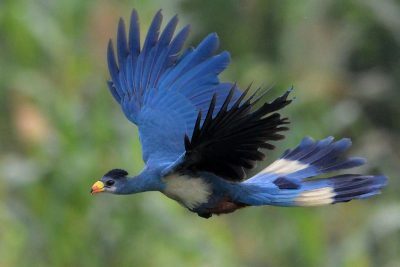 The amazing wildlife encounter experience starts with a pick up from the airport by a Uganda safari, transfer to lake Mburo and do an evening boat cruise before rest. 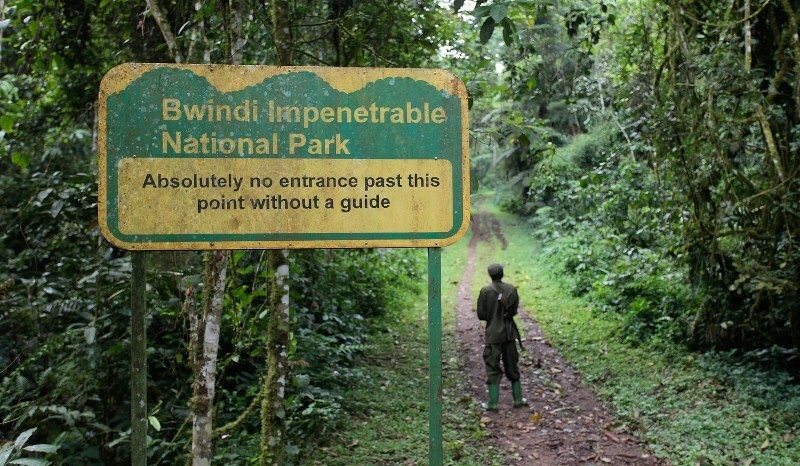 You will do a morning game drive the next day then transfer to Bwindi impenetrable national park for gorilla trekking the next day. The trip continues to Queen Elizabeth national park via the ishasha sector for a memorable game drive and boat cruise before returning to Entebbe international airport for departure the next day. 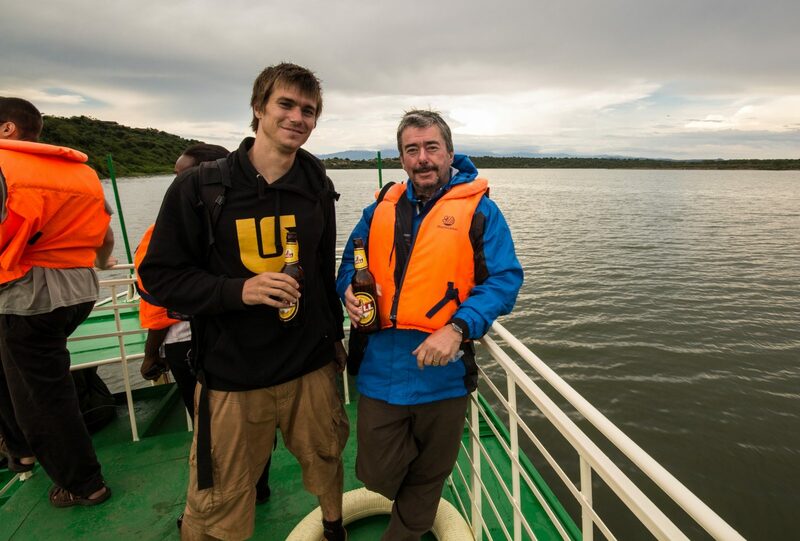 Day 1: Upon arrival, you will be welcomed by your driver guide who will brief you about the safari then transfer to Lake Mburo national park for an evening boat cruise at 4:00pm. Day 2: Early morning you will do a morning game drive, have lunch and then be transferred to Bwindi impenetrable national park. 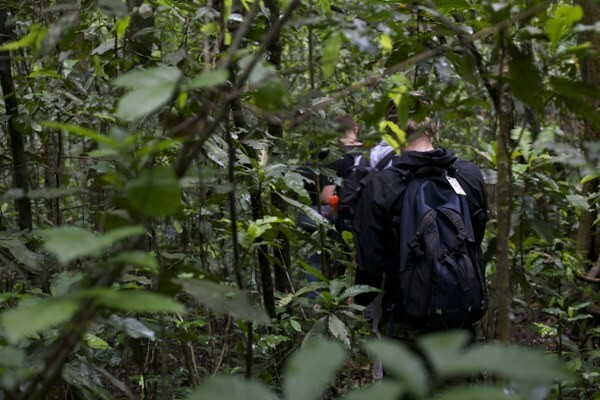 Day 3: After an early morning breakfast, your driver guide will transfer you to Bwindi impenetrable national park for gorilla trekking lasting about 2-8hours. 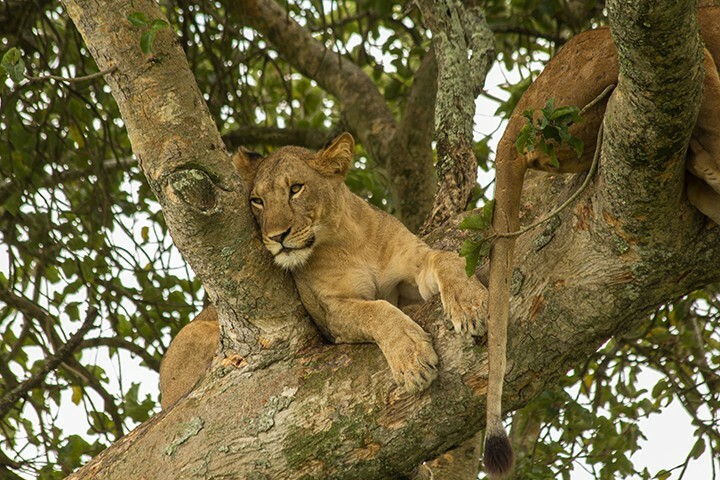 Day 4: After a relaxed breakfast, you will be driven by your driver guide from to Queen Elizabeth National park via the ishasha sector popular for the tree climbing lions. 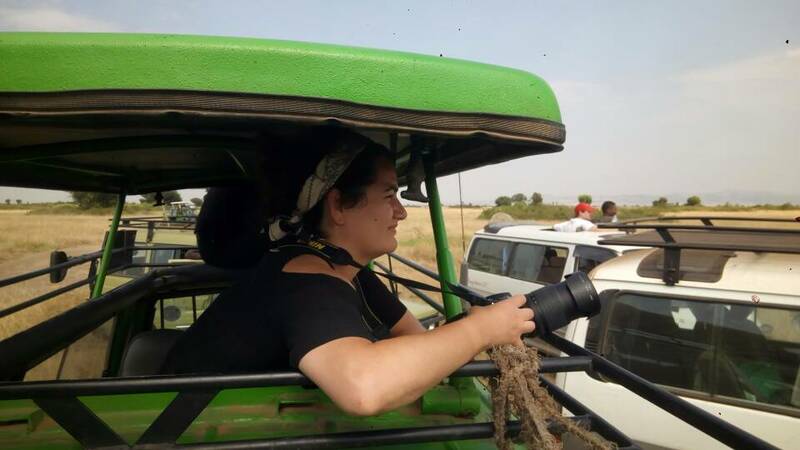 Day 5: You will do an early morning game drive for about 2-4hours, have lunch and do a boat cruise at the Kazinga channel in the evening for about 2 hours. Day 6: After breakfast, your driver will transfer you back to Entebbe international airport for departure with a stop at the equator line for photography. When you arrive at Entebbe international airport for your gorilla trekking safari in Uganda, you will be welcomed by your safari driver guide who will brief you about the whole trip. You will be driven to Lake Mburo national park where you will do an evening boat cruise at around 4:00pm for about 2 hours. 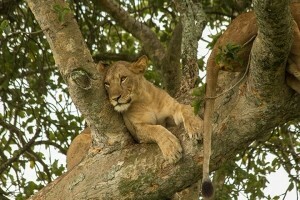 Thereafter, you will have dinner and an overnight stay at a preferred accommodation in lake Mburo national park. You will be at the park by 7:00am for an amazing game drive lasting about 2-4hours with several encounters within the “whispers of the wild”. This is the only safari park in Uganda where you can walk within the park and get so close to wildlife without any harm because the park hosts only calm animals. After the game drive you will have lunch and then embark on the transfer for rest to an accommodation in Bwindi impenetrable national park. After breakfast in your beautiful lodging facility, you will be driven to the park headquarters for your Uganda gorilla trekking safari experience. Briefing starts at 8:00am with the park rangers who will go with you and 7 other gorilla trekkers to the jungle for about 2-8 hours in search of the mountain gorillas. After spending 1 hour in the presence of the gentle giants you will return to the park headquarters where you will receive a Uganda gorilla trekking certificate then be driven back to your lodging facility for relaxation, dinner and an overnight. 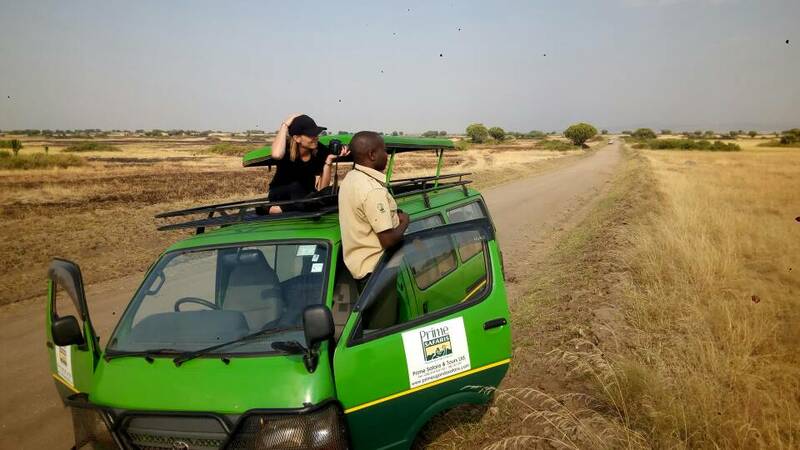 After a hearty breakfast, you will be driven in your 4×4 safari vehicle to Queen Elizabeth national park via the ishasha sector which is popular for tree climbing lions for a Uganda wildlife safari experience. When you arrive at the park you will check in to your booked accommodation in Queen Elizabeth National park and relax in the evening. By 7:00am, you will be in the park for a morning game drive that will last about 2-4 hours. After the game drive, you will return to your lodging facility for refreshment and have a meal then after go for an evening boat cruise on the 45km long wildlife packed Kazinga channel in Queen Elizabeth National park. You will have relaxed breakfast after your wildlife safari in Uganda then embark on the drive back to Entebbe international airport for departure. You will stop at the equator line in Kayabwe for a memorable zero latitude line experience and photography for about 30minutes. Depending on your departure time, you can do craft shopping before departure. Mgahinga gorilla national park offers an option for a Uganda gorilla trekking tour experience since it is also home to mountain gorillas. 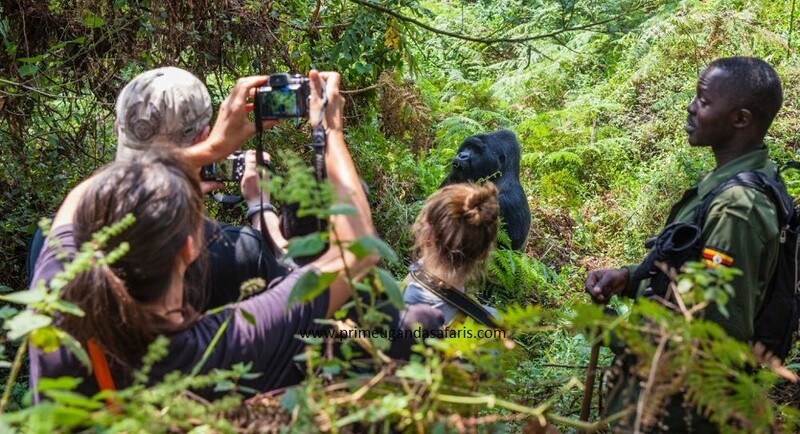 In Rwanda and Congo, you can go for a gorilla safari Rwanda or Congo gorilla safari and trek mountain gorillas in Volcanoes national park and Virunga national park respectively. In barely a week, you can have the most ever wildlife experience in Uganda opt for 6 days and enjoy the pearl of Africa.